Many of the team behind the brilliant Frankel were at the 22nd annual Cartier Racing Awards at London’s Dorchester Hotel on Tuesday night (November 13) to share three prizes won by what many consider to have been the best horse, certainly of recent times, and maybe ever. The Cartier Racing Awards were hosted by Harry Herbert, Cartier’s racing consultant, and presented by Arnaud Bamberger, Executive Chairman, Cartier UK. Lord Grimthorpe, racing manager to the colt’s owner-breeder Prince Khalid Abdulla, stated that Frankel had “touched our lives like no other” as he collected the very prestigious Cartier Horse Of The Year Award for the second successive year. Frankel, who additionally captured this year’s Cartier Older Horse Award, has now won a total of five Cartier Awards, more than any other horse in the history of the Cartier Racing Awards, having gained the 2010 Cartier Two-Year-Old and 2011 Cartier Three-Year-Old Awards as well. The strong team involved with the Sir Henry Cecil-trained Frankel, successful on all 14 of his starts, enjoyed another accolade when picking up the Cartier/Daily Telegraph Award of Merit from Arnaud Bamberger and Keith Perry, Group Managing Director Sport at the Telegraph Media Group. “As I was saying last year and the year before, we have been truly blessed by this horse,” said Lord Grimthorpe. “He has touched our lives like no other and has touched many lives like no other. “Prince Khalid really likes his horses to do the talking but unfortunately you’ve got me. He would have been here but for a family wedding and he wanted me to thank Cartier, Arnaud (Bamberger), Francois (Le Troquer) and of course Harry (Herbert) for this magnificent tribute to his wonderful horse. “We must mention Henry (Cecil) and the whole team at Warren Place. 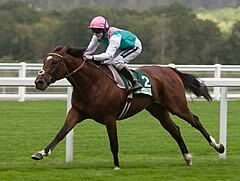 He’s done a brilliant job with Frankel from the word go and how lucky we are. “I’ve missed out speaking about all the people on the stud who looked after him and the people that foaled him first. Not to mention Bobby Frankel, who he is named after and trained for Prince Khalid for 20 years. Frankel is now at Banstead Manor Stud near Newmarket after ending his racing career last month and Lord Grimthorpe reported that the four-year-old Galileo colt, valued at over £100 million, is ready to begin his new career as a stallion in early 2013. The people who collected the Team Frankel award included Sir Henry Cecil’s wife, Lady Jane, whose husband was not well enough to attend. The others were jockeys Tom Queally and Ian Mongan, Lord Grimthorpe, Dee Deacon (Head Girl), Sandeep Gauravaram (Frankel’s groom), Mike Marshall (Assistant Trainer), Philip Mitchell (General Manager, Juddmonte Farms), Simon Mockridge (Stud Manager, Banstead Manor Stud) and Jim Power (retired Stud Groom and the man who foaled Frankel). Another unbeaten performer Black Caviar, who is based with Peter Moody in Australia, became the first Cartier Award winner to be trained outside Europe. The great racemare has gone 22 races without defeat and took the Sprinter Award following her narrow victory in the Diamond Jubilee Stakes at Royal Ascot in June. Video messages from Peter Moody and another part-owner, Gary Wilkie, were shown prior to her going on to the stage. “Thank you to Cartier, British horseracing and the British racing public for the prestigious award that has been given to our wonderful mare Black Caviar,” said Moody. “It has been a great ride. “I’m very grateful for the opportunity given to us by the people at Royal Ascot to bring her up to your part of the world and showcase her on an international stage. I understand it’s the first time a horse trained outside Europe has been given such a prestigious award and certainly it was a very memorable journey and one that we’ll never forget. 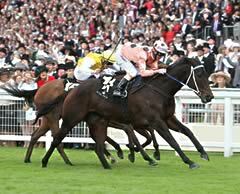 Wilkie added: “Black Caviar has given us a wonderful ride throughout her career. We had an amazing time in England, meeting The Queen, and all because of our beautiful mare. Lord Lloyd Webber was at the Awards but it was his wife who did most of the talking when her home-bred The Fugue, trained by new British champion trainer John Gosden, won the Cartier Three-Year-Old Filly Award. “What a thrill. I’ve been lucky to have been invited to this evening for many years and have always been slightly green with jealousy at everybody coming up here (to receive an award),” said Lady Lloyd Webber. 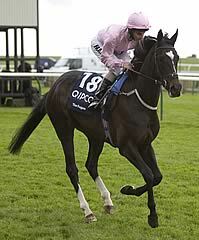 “The Fugue has given us so much fun and has been unlucky in some ways but this has been a wonderful bit of luck for her. It was a good night for Godolphin with Certify, trained by Mahmood Al Zarooni, winning the Cartier Two-Year-Old Filly Award, Dawn Approach (Jim Bolger) taking the Cartier Two-Year-Old Colt Award and Colour Vision (Saeed bin Suroor) landing the Cartier Sprinter Award. “I’d like to say well done to Dawn Approach for being champion two-year-old colt, it’s an absolute thrill,” declared Godolphin’s racing manager Simon Crisford after going up for Certify’s award. “It’s a great boost to have a trainer looking after him who is so confident for the future. “I asked Jim (Bolger) earlier where he was staying. He said he was in this hotel, the Dorchester. I asked why wasn’t he staying in Sheikh Mohammed’s hotel, the Carlton Tower. He said ‘Simon, next year I will be’. “Certify deserves this. 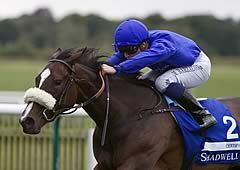 Winning the Shadwell Fillies’ Mile was a brilliant display. She’s going to stay in England for the winter and we very much hope she will be good enough to win the QIPCO 1,000 Guineas next season. “Sheikh Mohammed asked me to pass on a message to Cartier - to Arnaud (Bamberger) and Francois (Le Troquer) - that he cannot appreciate enough the huge commitment to British horseracing with their sponsorship of these awards. After collecting Colour Vision’s trophy, Crisford added: “It’s a fantastic accomplishment to win this award and I think it was possibly the most tightly-knit award of the evening. “We were a little surprised to win it because there were so many deserving horses in that category but Colour Vision provided one of the top five most exciting races of the season when he won the Ascot Gold Cup. It was a magical moment for all of us at Godolphin and the wider public and on that basis, I think he is a deserving winner. Camelot, winner of three Classics this year, the QIPCO 2,000 Guineas, Investec Derby and Dubai Duty Free Irish Derby, was named the Cartier Three-Year-Old Colt. 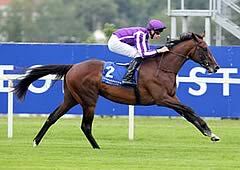 J P Magnier, whose parents John and Susan part-own the son of Galileo, picked up the prize. He is recovering after suffering a bad fall when riding at Down Royal in August. “I’d like to thank Aidan (O’Brien) and the team at Ballydoyle, who have done such a great job with Camelot all year and Joseph, who rode him so well. Camelot has been in Coolmore for the last few months and seems to have recovered from surgery (for colic) a lot better than I have - he looks a lot better!